WordPress is a open source content management system which have lots of themes, plug ins and widgets to customize the websites. login page refreshing issue is very common issue and easy to fix. 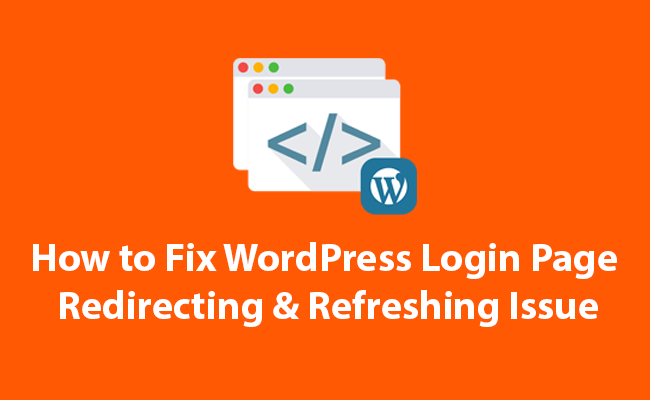 How To Fix WordPress Login Page Refreshing/ Redirecting Issue? Login issues: It can be caused by different errors such as cookies problem, htaccess file incorrect or plug in problems. So to fix those issue call on wordpress technical support number or follow the below mentioned process. Revert to default theme: WordPress Theme can also cause the issue so you need to disable the theme. The WordPress will fail to use the current theme after deactivation of the theme. Try to login again to admin area once the theme is deactivated. Deactivate plug-ins through FTP server: If there is any conflict between plug-ins after upgrading the WordPress then you need to deactivate the plug-ins. You can use the FTP to connect your hosting. You can activate plugin one by one to spot the exact plug in that cause the problem. Now fix that plug in issue and login in WordPress.